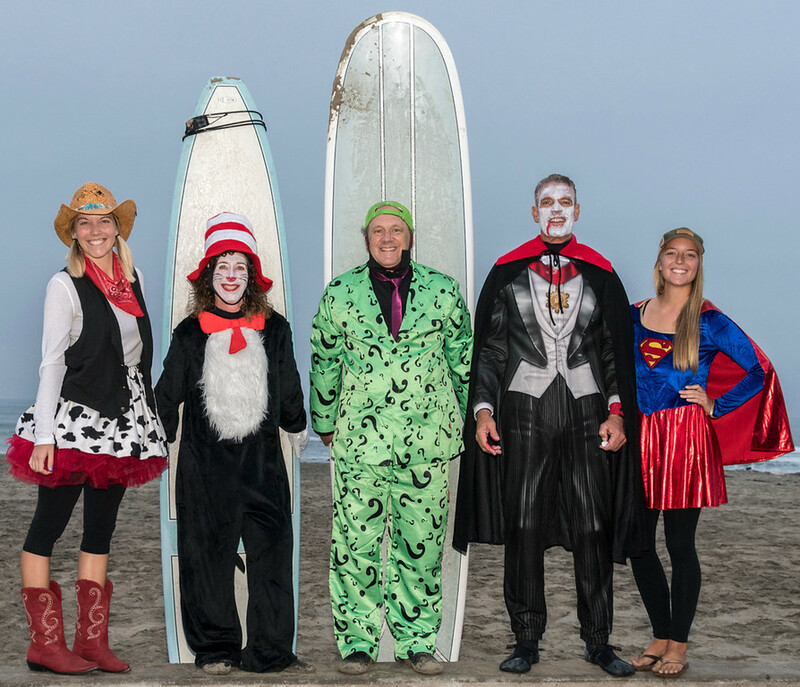 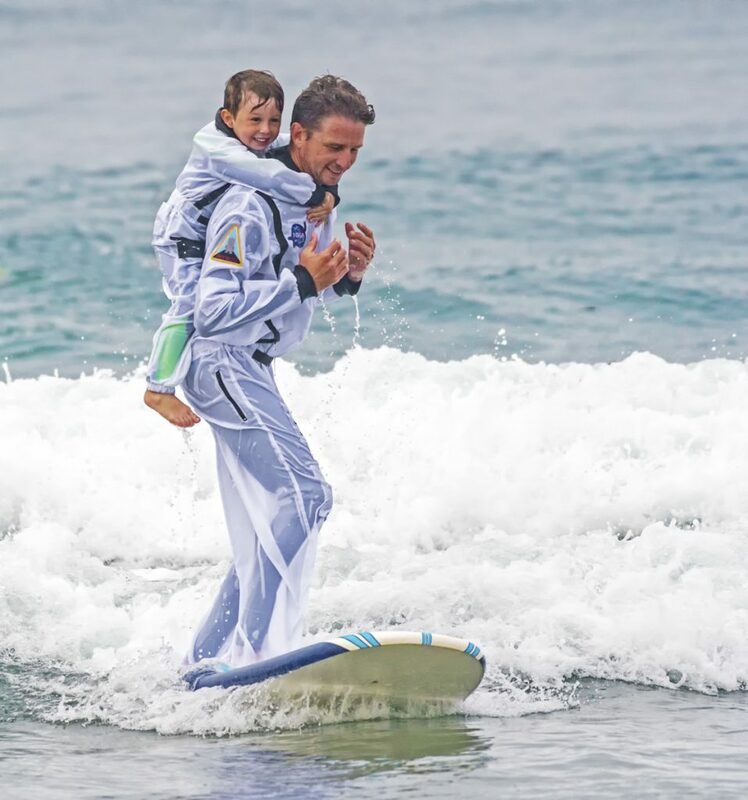 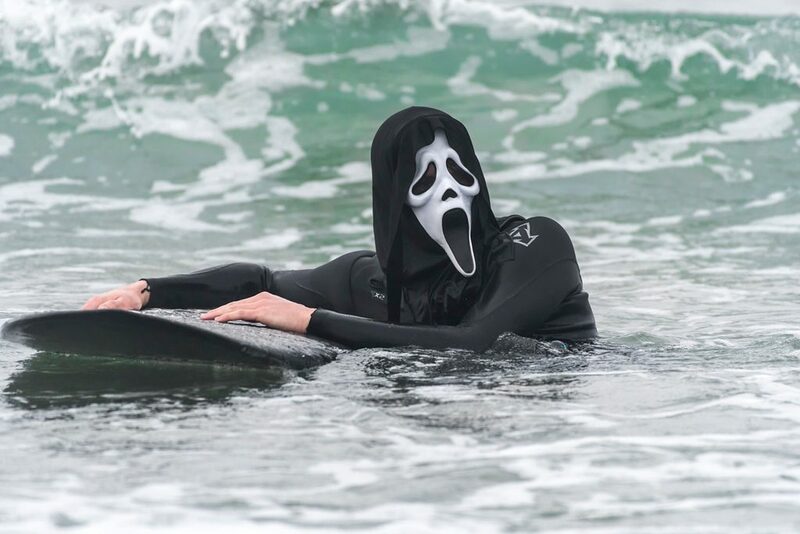 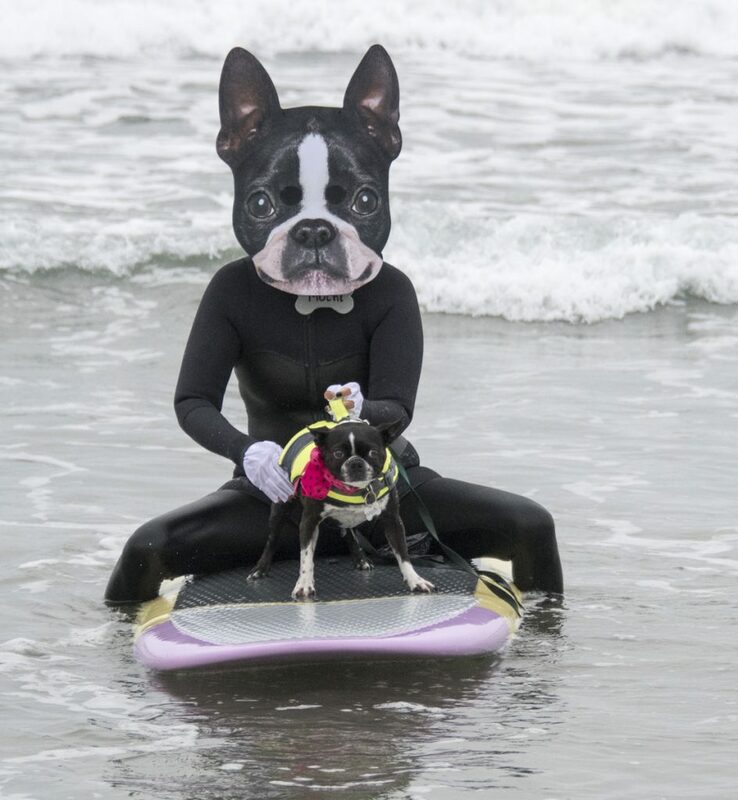 Over 100 costumed surfers both young and mature strutted their stuff at the 11th annual Halloween Surf happening north of the Newport Pier on Saturday, Oct. 28. 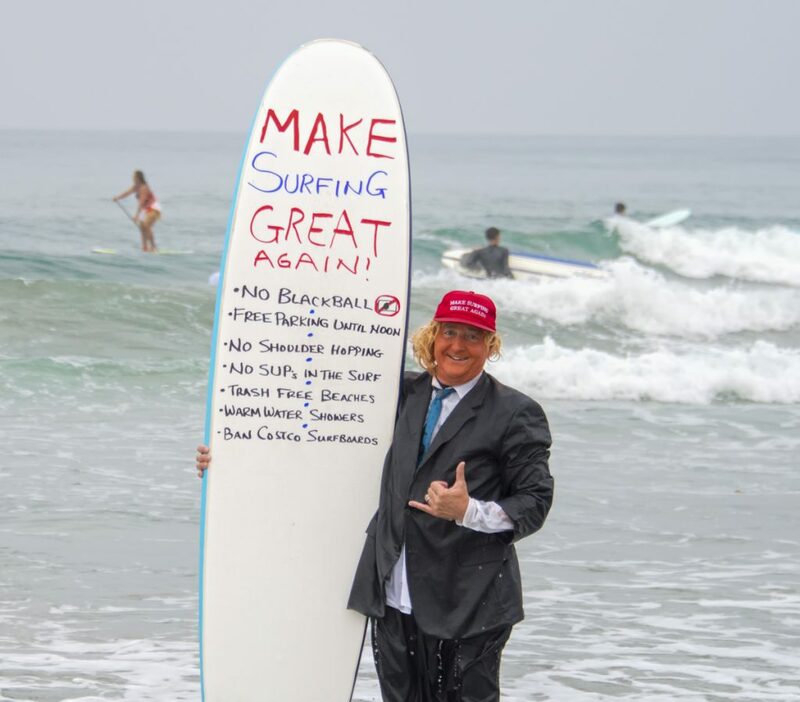 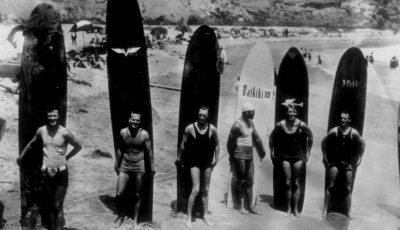 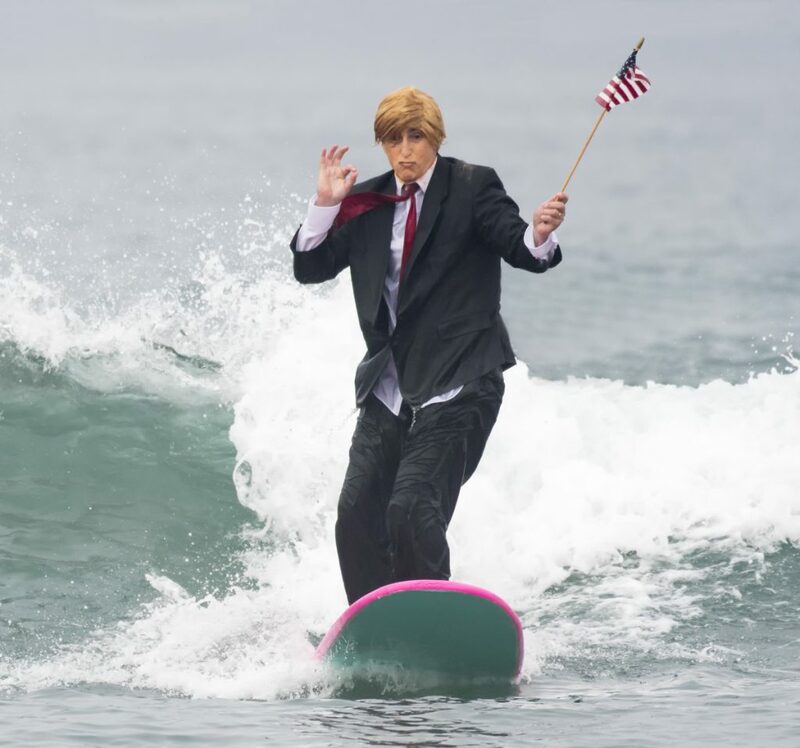 Mild temperatures and easy waves made “Donald Trump’s” promise to “make surfing great again” come true. 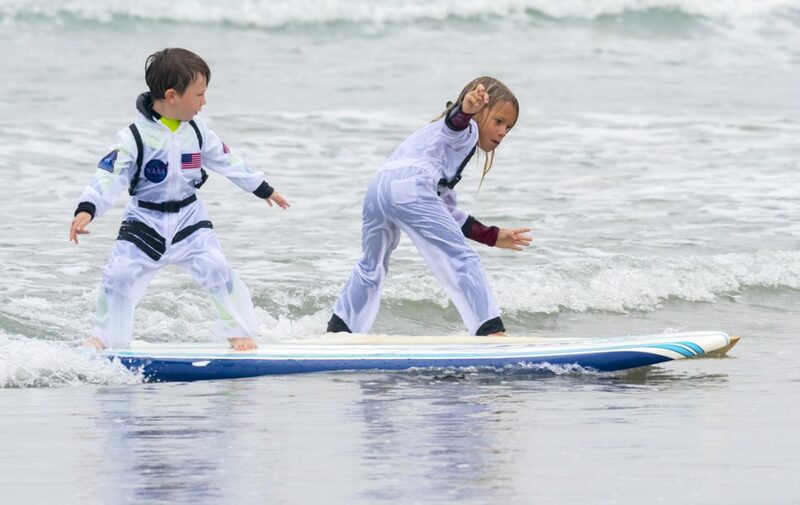 Highlights included a Boston Terrier and her Mom, a Cat in the Hat played by feline veterinarian Elaine Mitchell, and a father-son astronaut team. 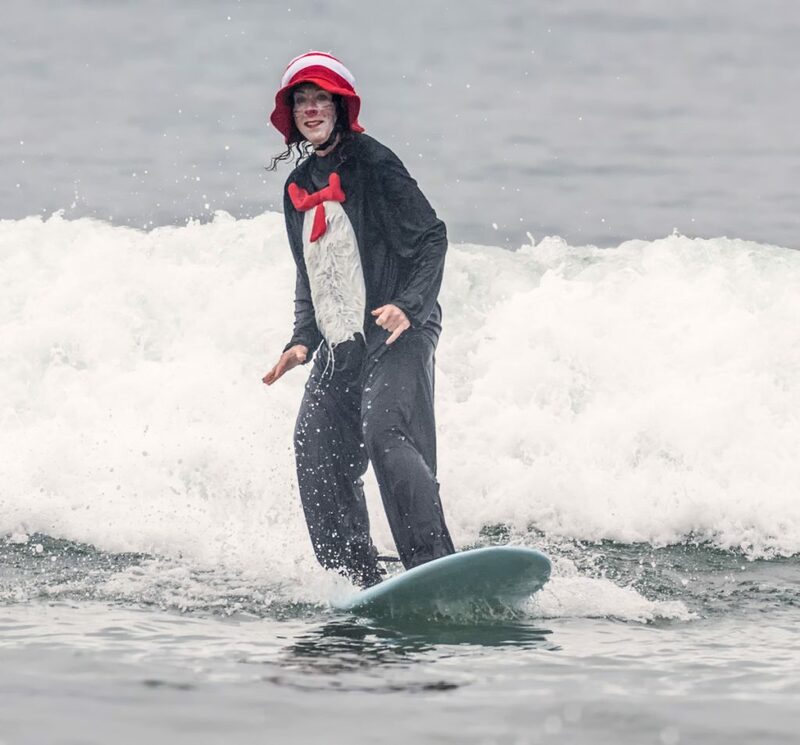 A small inflatable shark was seen frolicking harmlessly among the surfers.